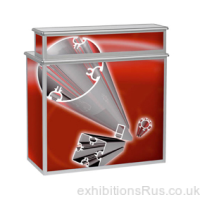 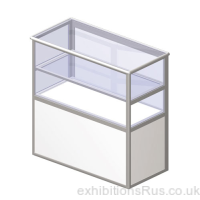 We offer a high quality range of folding display counters, cabinets and showcases, made with a hinged aluminium framework. 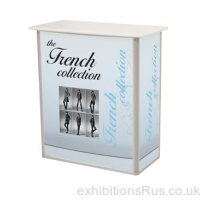 Our portable display counters are made to the very highest quality. 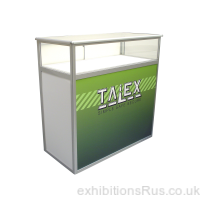 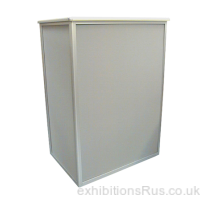 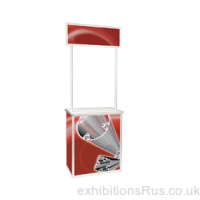 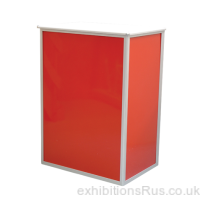 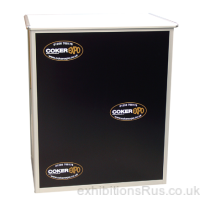 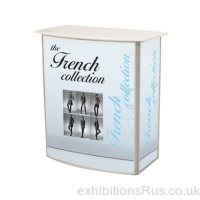 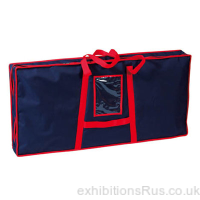 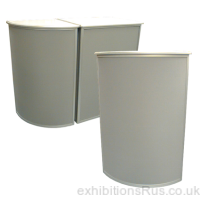 Durability, styling and ease of use make them highly suited for exhibitions, trade show and even retail requirements. 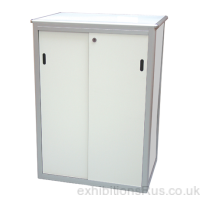 Various options for shelving and locking door panels. 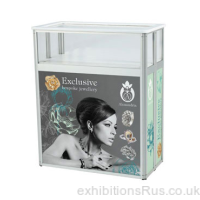 These aluminium exhibition counter units are available in a range of finishes, graphics, coloured Pvcs and acrylics, all able to be fitted into the paneling system as you require, thanks to an easy change allen key lock, so you could have two sets of panels for one folding display counter. 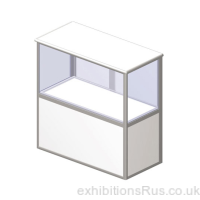 CDC106 Alley framed folding corner counter unit. 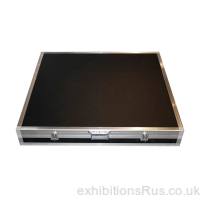 Straight Counter - gear edged.